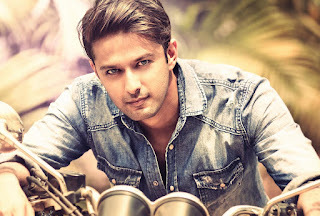 Actor Vatsal Seth and Entrepreneur Amit Zaveri have come up with an important socio-economic forum Called "The Starboard Project" to educate kids and young minds for major critical skills which might not be conventionally taught in school. 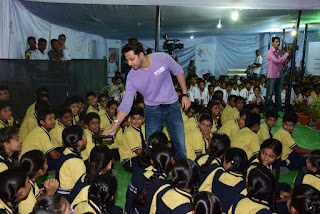 Mr. Amit Zaveri spoke on The Starboard Project and here is what he has to say, ”We want to create a better way to support the education of children and hone their skills at an early age. Most of the education right now is based on marks. Emotional Intelligence is of paramount importance as it’s the foundation of understanding human situations and bringing about communication. Students these days face a huge amount of anxiety, depression, suicidal thoughts which is a result of kids not being able to cope with situations. Most jobs in the future, the number one requirement is social and emotional skills and numbers do take a back seat over a period of time after the first job. On the basis of these skills we have created short courses and we have two ways to deliver them viz. taking a celebrity and going and teaching in schools. This one becomes a very exciting factor for a lot of kids as they haven’t met a star before. The other part is that we are creating an online repository of courses which we can market for everyone to have access to these courses. We have multiple courses that we are ready with such as failure management, habit formation, empathy, time management, cultural fitment etc. They started around 2015 and have concretized the courses and mode of delivery before doing test runs in 2016. The online repository will be a humongous help and teachers and students can access it to aid their development at early stages of their lives. We are really looking forward and as we come to the release of The Starboard Project, we wish them all the best for this noble and exciting project and hope that it really takes off.